God desires that the spiritual man elect, or make a personal choice, to be gentle, kind, and peaceable with others; despite darkness, evil intentions or harsh attitudes of others, or adverse station in life. God yearns for the quickened man to be tender and merciful, modeling God’s essence or nature as he sojourns upon this earth despite any associated personal cost. There is always a high price when choosing to emanate a godly response while living among evil enemies in this world. However, modeling the dark nature of the god of this world may seem like a free and easy choice while living on this earth, but it carries an enormous cost and serious spiritual repercussion in the eternal realm. Pure and peaceable gentleness can only be produced by the addition of the abiding Spirit of God residing inside man’s softened heart. Having eternal fellowship with God purges harshness, callousness and a roughshod nature, along with the ugliness of an unbridled tongue, from occupying space inside man’s heart and within the cob webs of his mind. Darkness exits a man’s ill spiritual state multiplying wickedness into the world around us while goodness from a softened heart and robust spiritual state multiplies mercy and grace of God in this world. The nature of God dwelling within man’s heart emits a fruitful fragrance and shines a beacon of light filled with truth and hope, permeating the air with the holiness of God’s power and presence, as the quickened man searches for opportunities to display the gentleness of Christ and yearns to follow God’s commands which are not grievous. 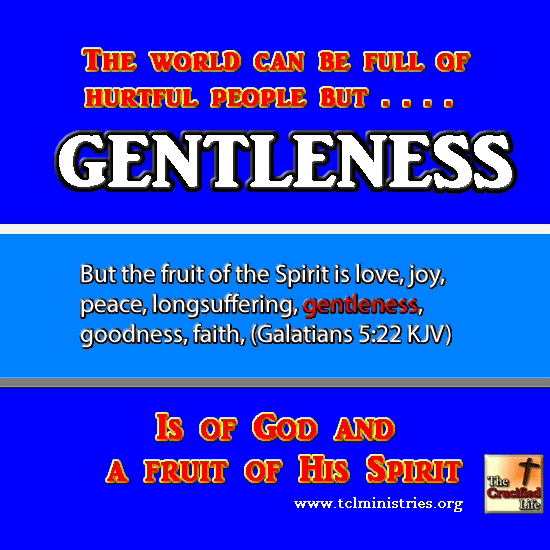 Gentleness is God’s love in action displaying spiritual substance bringing honor and glory to Him. Many professing Christians are so filled with things of this world they either act in love without having the spirit of Christ, or remain still and inactive, having the Truth of God but not being moved to spiritual action because of sin and disobedience coming in between having close fellowship with God. These Christians often fail to take loving action or impart the love of Christ to a person in need right in front of them because their limited spiritual vision is crowded by the accumulation of worldly things. Only through the intervention of the Holy Spirit can man learn to be kind and gentle showing Christ likeness to others. God circumspectly upholds any man who earnestly seeks to be gentle and meek with the supernatural strength and power of His right hand as David justly proclaimed in this Psalm! The God who David served in ancient biblical times is the same God mankind serves today. David had been both upheld by God’s right hand, and spiritually squashed or flattened into humble submission, by the gentle but spiritual giant nature of God in many diverse seasons of fellowship in David’s life. God can only successfully lead and direct a person’s life if as He is allowed to occupy the driver’s seat supernaturally steering him through the challenging dark and evil maze called life upon this earth. God had also picked David up off the ground in tumultuous and prideful times in his life when he moved God to the passenger seat and veered of the narrow pathway of life making poor spiritual decisions that led him into disastrous trials and troubles including a liaison with Bathsheba and the untimely death of her husband Uriah among the front lines in the heat of battle and an increasingly unhappy marriage to Michal who loved David greatly. Another great servant of God, the Apostle Paul, had been both haughty and prideful as well as mild mannered and meek in the presence of God. His bold and vain stance towards those who served God before his personal salvation brought God’s wrath and the consequences of sin swiftly into his life. So swift and powerful in fact Paul was knocked to the ground by the mighty presence of God on the road to Damascus one day. God swiftly moved Paul from his bold and prideful stance knocking him unto the hard and unforgiving ground on this dusty road physically wringing the his vain pride out of heart bringing about a softened spiritual heart ready to hear the salvation message. God removed Paul’s harsh and rough mannerisms which were in opposition to His holiness and righteousness, replacing them with meekness and gentleness, making a new man who was a willing vessel, or set aside for serving God’s will in his life. Paul was now operating in this world for the things of God with His Spirit taking up residence inside his heart. Paul had many protractors who tore apart his new spiritual stance for the things of Christ, remembering his roughshod appearance and questionable character always set for treating others harshly, especially Christians, and closely following after the agenda of the god of this world. Many who were familiar with Paul before his conversion were hesitant and suspect of his new nature; even accused him of being gentle and meek in person but when corresponding in hand written letters, quickly returning to his bold and rough state. Even today many are far more at ease with writing or texting something bold and off the wall to somebody rather than to speak it verbally to another person face to face. Paul was bold for Christ in both circumstances and wasted no time in correcting this wrong thinking. 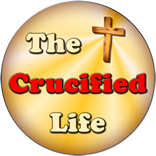 Paul permanently took on the new nature of Christ that eventful day on the Damascus Road. Gone was his rowdy boldness working in enmity to the things of God. God had forever removed the power of Paul’s own prideful nature, putting in his heart a new spiritual melody or gentle song proclaiming the nature of meekness, or the Spirit of God alive inside of him. Paul’s heart sang a song of peace and gentleness of God rather than emitting evil and wickedness of the god of this world. Salvation brings an eternal shield of spiritual protection. It is placing a hedge about man, shielding him from the antics of the devil, and allowing the very soft but spiritually strong nature of Christ to rule and reign in his life. 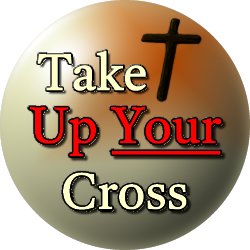 Living for the things of Christ is not living like a used and abused door mat who allows others to stomp and trudge upon him it is living strong in the spiritual strength of Christ who provides the way forward in any situation along with ample opportunities to lead others to Christ. Mankind can only be a spiritual giant by mirroring gentleness along with other fruit of God’s spirit in a personal relationship with Him. There is supernatural strength and power in bearing the gentle nature of God to mankind in this world.